Confident, bold, stylish, and funny, our This is What Awesome Looks Like Wine Glass is ideal for every social gathering. And, you don’t have to keep refilling with the generous 20 oz. size! Purchase your wine glasses from us today! This is What Awesome Looks Like Wine Glass You know you rule! You walk with a confidence few possess. 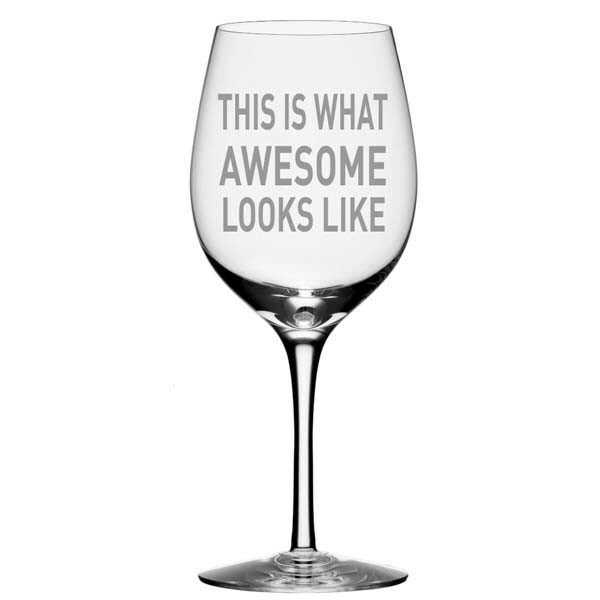 Now, let everyone know with your bold and stylish This is What Awesome Looks Like Wine Glass. Fun, witty, and brilliant at the same time, this wine glass can hold 20 oz. of your favorite wine! Go ahead, treat yourself, order yours now!